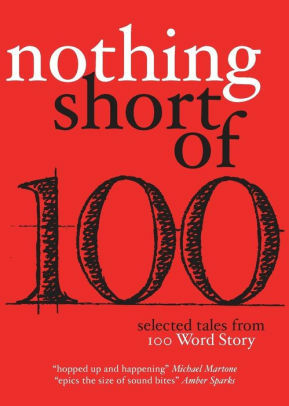 100 words for your story … no more or no less. Tell a story, pen a slice of your memoir, or try your hand at an essay. You get 100 words—exactly 100 words—which is both the pain and the pleasure here. It’s short, you tell yourself. You can write 100 words at a bus stop, on your lunch break, in your sleep. But with 100 words you must tell the whole story in its entirety, so it holds together like a perfect little doll house. Your title is not part of the 100 words. We use Microsoft Word as our official word counter. Please include a short bio (25 words, max!) with your submission. Also, did we say exactly 100 words? We weren’t kidding! Yes, we’ll read vignettes. The 100-word form is open to all genres–however you want to define it. Good question: The title is separate for our word count. Do you count the words in the title to get 100 words or is the title separate? ’76, not as hot or humid as the previous year but warm enough to provide us with long grass, summer long, to hide away from the envious eyes of the “ad-vice squad” as we had named the old folk in our town. Heat, skin, hair and a necklace of electric kisses. Sunlight breaking through and inflaming her sweat-curled, summer-mad, auburn hair. In-your-face emerald eyes gently mocking my boyish shyness. Two years difference in age; twenty in experience. Those kisses cracked the fragile shell of my desires. Hands, hoping, helping. Contours of a new world. Then I went for a beer.